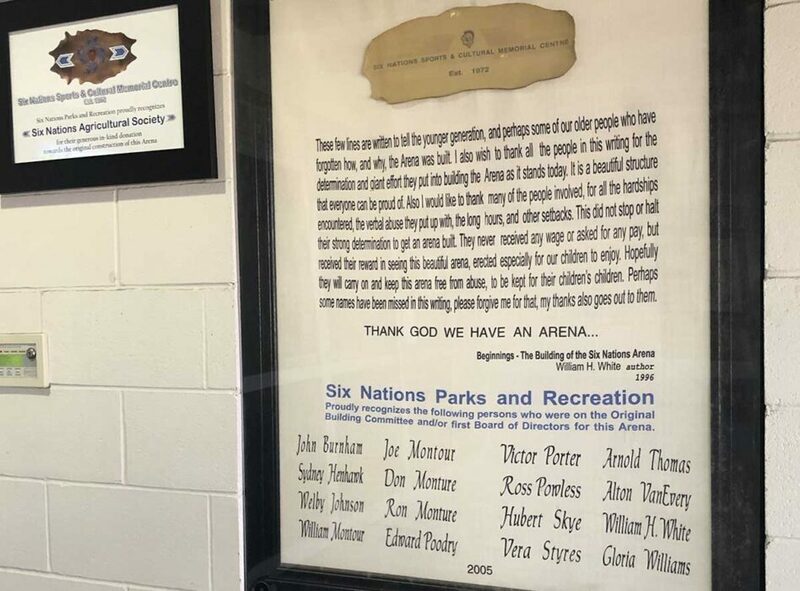 OHSWEKEN — It was a very emotional meeting at Monday’s Committee of the Whole meeting, after a collective put in a request to have the memorial title of the Gaylord Powless Arena in Ohsweken changed back to it’s former name, “Six Nations Sports & Cultural Memorial Centre”. 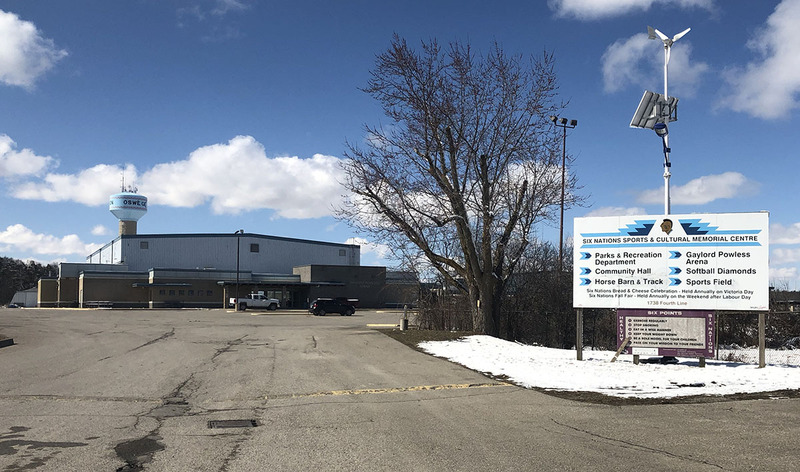 A delegation made up of people who say their families were involved in the fundraising and efforts to build an arena for the community of Six Nations brought the request to the Elected Council. Montour was talking about the work put in by the “original builders”, who he says have been meeting regularly to organize the request and bring it before the community. A presentation was shown to those in attendance, including a large representation of Gaylord Powless’ family, explaining what the group is asking for and why. Styres, who was part of the original building committee, says the name change has deprived community members of acknowledgement or recognition. Styres writes the ask is to “recover our legacy”. Montour gave a 30 minute presentation about the history of the arena build. He says materials were donated, recycled and fundraised for over a number of years by community members. An added $60,000 contribution by Jean Cretien, then Minister of Indian Affairs and in-kind work donated by community steelworkers and construction workers saw the Ohsweken arena constructed in 1972. Members of Powless’ family spoke, and were visibly upset by the request to rescind the memorial naming of the arena. One member of the family shared they were troubled false rumours swirling on social media, claiming memorial re-naming of the Ohsweken arena was something the family asked SNEC for. SNEC Councillor Carl Hill spoke and said he made the recommendation at the request of a community member from Six Nations who is not from Gaylord’s family. That individual asked SNEC to bring a motion to rename the area in memory of Gaylord Powless. Gaylord’s daughter, Gaylene, spoke and said the rumour was very distressing, as she was 17 years old at the time of his death and focused on spending those final days with her father. TRT was able to confirm the request came to Elected Council from a person on Six Nations whose last name is also Powless, but with no direct relation to Gaylord’s family. One community member said there should have been public notice prior to the name change. 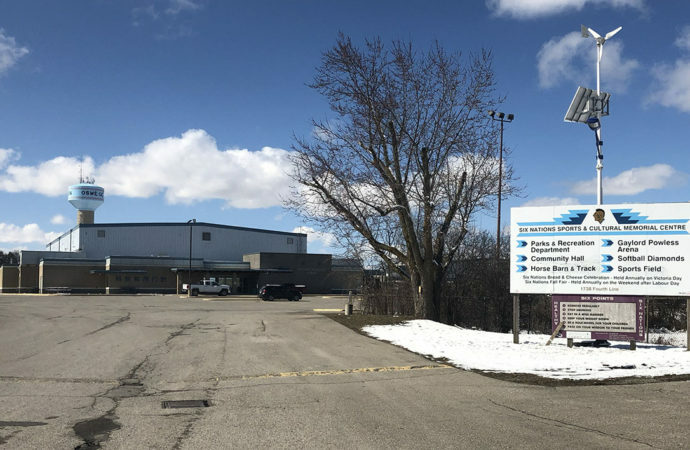 According to historical records, SNEC passed a Band Council Resolution to change the arena name to the “Gaylord Powless Sports Centre” on July 24, 2001. A memo was then sent to Six Nations Parks and Recreation informing them of the change. In September of 2001, the General Council then heard back from people representing the original committee — that the area name change was acceptable but should be altered to “Gaylord Powless Arena” and the title “Six Nations Sports and Cultural Memorial Centre” be bestowed upon the entire complex area including the community hall, arena and new structures that, at that time, were in the works. To date the current Six Nations Sports and Cultural Memorial Centre includes the GPA, the Six Nations Community Hall, Dajoh Youth and Elders Centre, lacrosse field, blue running track, a splash pad, an outdoor rink, skateboard park, plus the Six Nations ball diamond, horse track, a concession stand and is the current home of the Six Nations Parks and Recreation offices. A billboard stands at the front of the complex naming the site as designated original name and inside the doorway of the GPA a plaque naming original building committee members and telling the story of their contributions hangs across from a plaque of equal size commemorating Gaylord Powless. One community member of the original building committee was upset and spoke out against the 2001 name change. Elected Councillor Audrey Powless-Bomberry, who is sister to Gaylord spoke saying her father Ross Powless was also a member of the original building committee and shared his vision that the arena would also house memorial space for all Six Nations athletes, including those who work for the promotion of athletics in the community. Powless responded to the claim the arena build was the only time Six Nations residents unified to see a project completed. “I have seen another time when we have all worked together, and that was during the time of asbestos and worked together to get it removed. We did a boycott, and worked together to see all new schools built. We all came together. It didn’t matter where you lived or who you were. And I think that is what we need to get back to — that type of community spirit, camaraderie and respect for one another,” said Powless-Bomberry. Another of Gaylord’s daughters, Michelle, was visibly shaken and said the public nature of the campaign to see the memorial designation rescinded along with false accusations on social media were hurtful and embarrassing for the Powless family, alluding that Gaylord had done something disgraceful to warrant his name being removed from the building. No conclusions were reached by the end of the meeting, but recommendations were made to reconvene in one month, giving the family and original building committee an opportunity to meet privately and find an amicable resolution to the matter. GPA has a good ring to it. It doesn’t matter. The whole grounds is still The Six Nations Sports and Cultural Memorial Complex. That’s where your name needs changing to. "COMPLEX." Honour athletes who have made that successful journey in the sport they love with banners throughout the "complex" Show the coming generations how successful they can be when committing to a sport they love. Put faces behind the names. Younger pictures too in the banners.